Our rug cleaning process is like sending your rug to a spa! Whether we're cleaning a delicate, antique Oriental or a contemporary area rug, our exclusive process safely and gently revives the color, luster, and beauty of your rug. What separates Alpha Chem-Dry from other rug cleaners is our specialized equipment that safely and gently flushes away the vast amounts of soil trapped deep in rugs without abrasive scrubbing, harsh chemicals, or power spraying, all of which can damage fine rugs permanently. We have been cleaning Oriental rugs for over 28 years now at Alpha Chem-Dry! We use a very thorough, yet gentle, cleaning method to take care of your beautiful rugs. We will carefully handle every type of rug whether it be hand knotted, hand tufted, or machine made, natural fibers like wool or synthetic. So if you have a Persian, Turkish, Indian, Chinese, or Tibetan Rug that needs a professional cleaning, you can trust in Alpha Chem-Dry. Call or visit us today for more information! A trained technician will be sent to your home or office to measure and pre-inspect your rug and provide you with a cleaning estimate. 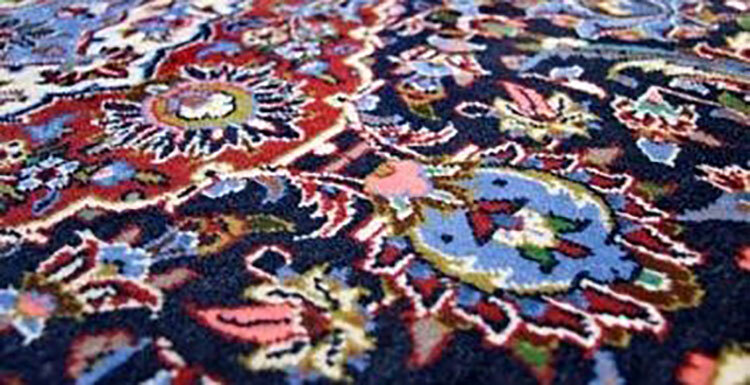 It is then delivered to our state of the art Oriental rug cleaning facility. When your rug arrives at our facility, it is carefully inspected for spots and stains, soiling conditions, wear patterns, repair needs, and other areas of concern such as pet odors, urine stains, etc. by one of our rug cleaning professionals. We then measure your rug and determine the exact cost for service. 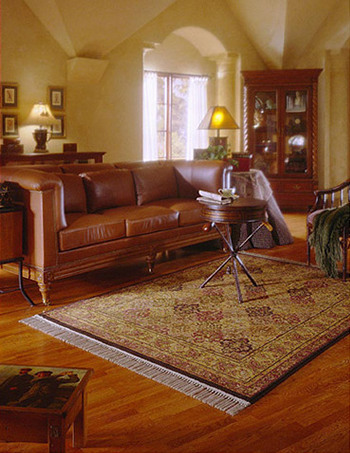 Removal of dry dust is critical to restoring the appearance and maintaining the life of your rug. Your 9 x 12 rug can hold up to 87 pounds of dry soil before looking dirty! And those deeply embedded dry soils are abrasive and grind rug fibers like sandpaper every time you walk across your rug! At Alpha Chem-Dry, we remove the dry soil from deep in the foundation of your rug with a machine that vibrates loose all the dry particulate soil that has accumulated in the rug—even crusty soils that have been embedded for years! There's simply no comparison to conventional rug beating. Our rug professionals will test your rug for colorfastness before proceeding with any immersion cleaning. They will also determine which cleaning method will be most beneficial for your rug. Our cleaning is determined based on each rug and what method will be the safest and most effective for it. We use safe, non-toxic cleaners on your rugs, just as we do in your homes. We will be cleaning your rug several times until the rug is completely clean. Our process uses cool water solutions that are safe for your rug. Special cleaning agents are added to aid in the cleaning process and to insure that colors are restored to their very best appearance and that dye stability or dye transfer is never a problem. Most rugs are air dried while some receive a little help from Mother Nature. Rugs are either dried flat or hanging on a special drying rack, based on the special needs of each individual rug. Air is gently circulated to speed the drying process. After we clean and dry your rug, we will vacuum it one last time and perform a final inspection to make sure it is ready to be delivered back to your home! We won't re-deliver it to you until we know you will be 100% satisfied with the cleaning. Most rugs are not protected initially but we highly recommend you do protect your cleaning and rug investment by applying a protectant to your rugs. We will discuss this with you on our initial call. We will roll and wrap your rug for you and then re-deliver to your home or office. Turn around time is about 7-10 days. Our rug cleaning process is perfect for the total removal of pet odors caused by pet urine as well as animal hair and body oils. Alpha Chem-Dry applies a special product to affected areas called P.U.R.T. This unique treatment breaks down the pet oils and the urine crystals and odor causing bacteria that feed on them, neutralizing the odor. Our total immersion cleaning process then flushes these contaminants from the rug for complete odor removal. Due to the wide range of material & construction among Oriental Area Rugs, we'd like to discuss– and possibly examine– your rug beforehand. Call and we can provide more specifics on our cleaning process & delivery process.